A renowned sanctuary for the rich and famous, the sunshine state of Florida has a wealth of attractions and basks in the sunlight almost continually throughout the year. The cities are famed for their boutique shopping, delectable restaurants and lively late night bars. Every taste is provided for here in Florida from prestigious golf courses right through to expansive golden white beaches which are lined with prestigious hotels and tremendous resorts. Lying at the southernmost tip of the state is the Florida Keys which run from Key Largo to Key West. Here you will find the ultimate in relaxed pace, gastronomic delights and incredible turquoise waters waiting to be discovered. 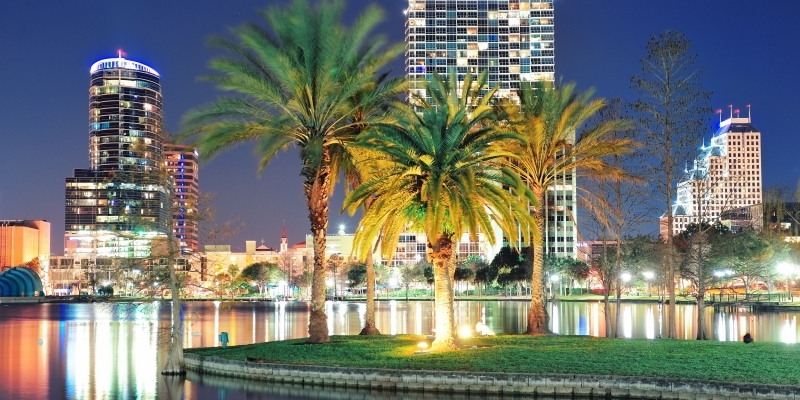 A renowned retreat for the rich and famous, the sunshine state of Florida has a wealth of well-known attractions and basks in warm sunshine almost all year round. The Florida Keys offer some of the most beautiful and secluded islands outside of the nearby Caribbean, while the state capital, Miami, is famed for its boutique shopping, delectable restaurants and lively late night bars. 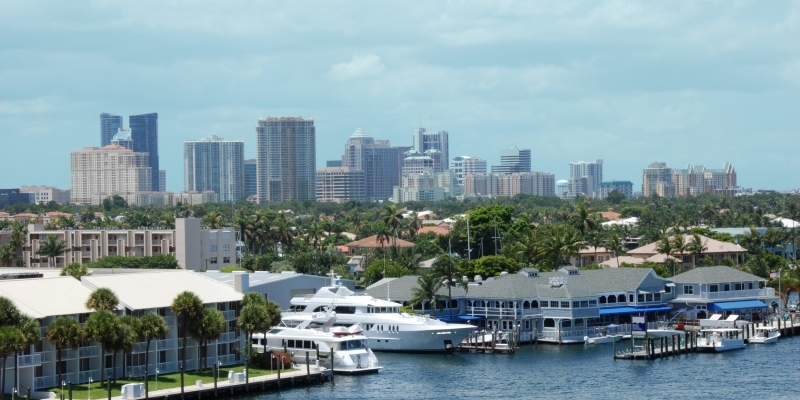 Chartering a yacht in Florida gives you the opportunity to take in the sights, sounds and unique culture that Florida and Miami have at their fingertips. From Cuban influences through to groundbreaking art deco installations, this is a part of America that hits all of the senses. 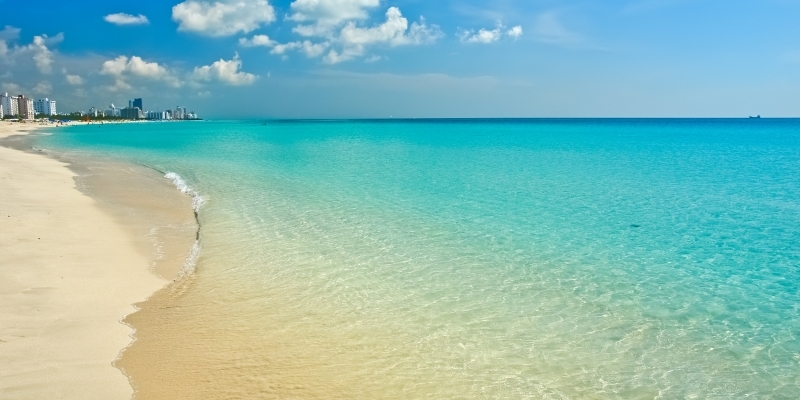 Any cruise around this tropical part of the world should take in as many of its beautiful beaches as possible, from vibrant Miami beach right through to the calm and tranquillity of Duck Key and Newfound Harbour. The white sands and turquoise seas here are quite justifiably world renowned, and the diving within the Florida Keys is world class and packed with some of the most colourful and spectacular sea life. Every taste is provided for here in Florida, from prestigious golf courses right through to expansive golden white beaches which are lined with prestigious hotels and exclusive resorts. Lying at the southernmost tip of the state is the Florida Keys which run from Key Largo to Key West. Here you will find the ultimate in relaxed pace, gastronomic delights and incredible turquoise waters waiting to be discovered. 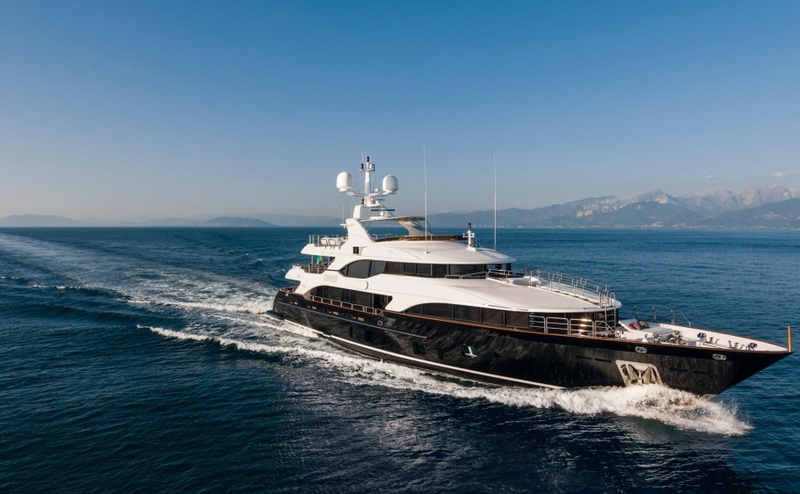 If Miami is your starting point, a charter will allow you to take in some of the most amazing, sun kissed sights and sounds you could ever enjoy, before ending on the ‘edge of paradise’ – as it is known – Key West. Let’s take a closer look at our book end destinations to give you a feel for the journey. Since the late 1970’s, Florida’s Miami Beach has been an Art Deco-lover’s dream – its downtown Historic District is listed on the National Register of Historic Places and provides the largest collection of Art Deco architecture in the world, comprising hundreds of hotels, apartments and other structures erected between 1923 and 1943. Modern day Miami is a cultural melting pot. 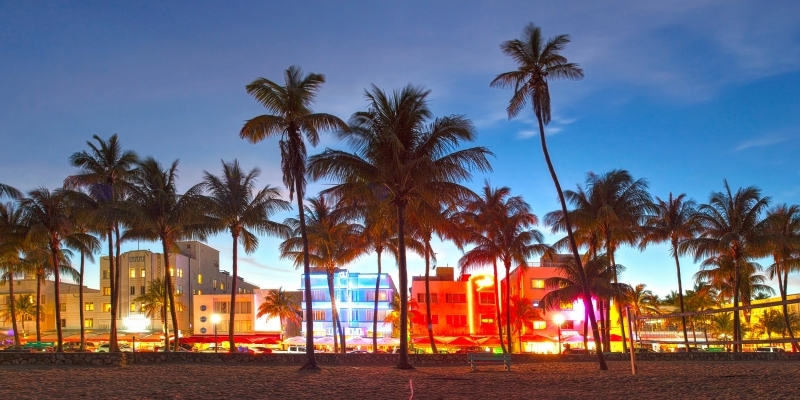 South Beach in Miami is the go to location for roller skaters and beach-buffed weightlifters, and is a great place to see and be seen – from the cafés draped across the front promenade to the bars and restaurants at night, you will not be left without something to experience in the area. Miami’s other ‘must-see’ location has to be little Havana, the Cuban quarter, which is well known for the warm welcome offered by the locals, and the sheer breadth of eclectic tastes and architecture. Revel in the sights, sounds and smells, the freshly prepared coffee, the intense games of dominos and enjoy a fine cubano sandwich, a must for all food lovers. Key West sits at the base of the Overseas Highway and for those that want to discover a true sense of glamorous island life, this is the best place to start. 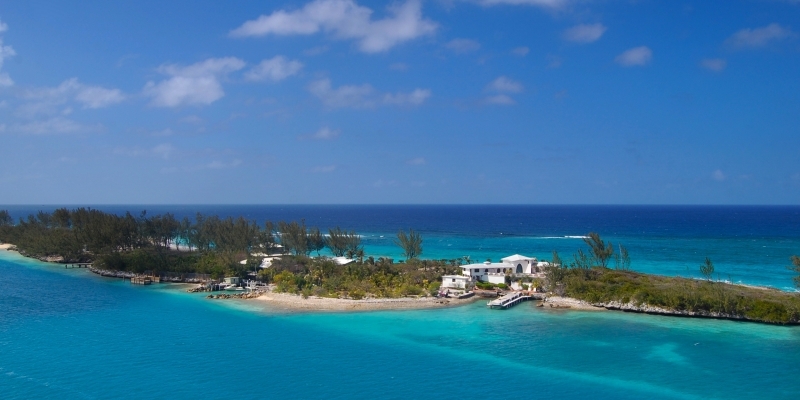 Far edgier and more eccentric than the other Keys, this 7-square-mile island feels like a beautiful tropical oasis. Flowers and classical Caribbean homes lay across the land whilst the other side of the road is full of cultural contradictions. From literary festivals to tropical dining rooms and expensive art galleries to bars that accommodate a lot of partying and late hours, it is not hard to find your groove in such a piece of paradise as Key West. Chartering a yacht in Florida is possibly one of the only ways to take in everything that Florida and Miami have to offer. 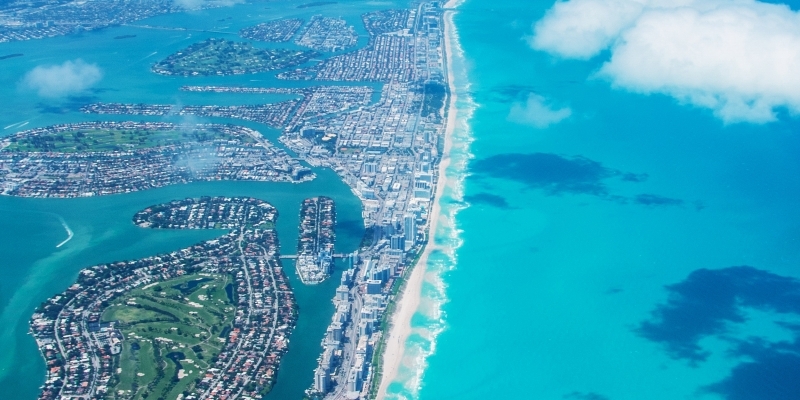 Low season travel to Miami and Florida is between December and March, when you can expect cooler temperatures between 17°C and 2417°C – a mild winter by any country’s standards. Spring is the most popular time for travel as the very high season months of July, August and September can be too humid for most travellers. April to June is warmer and in the early part of the season you can expect to discover the wonder that is, Spring Break. A national family holiday where beaches are full and entertainment is had by all participants, it’s best avoided if you’re looking for a quiet getaway. The currency for Florida and Miami is the US Dollar, and English is widely spoken across the whole country and islands, while Spanish is also widely spoken. You can access any part of Florida by air and land but, once there, setting sail and exploring by yacht to is the best way to experience everything the area has to offer, and make the holiday your own. 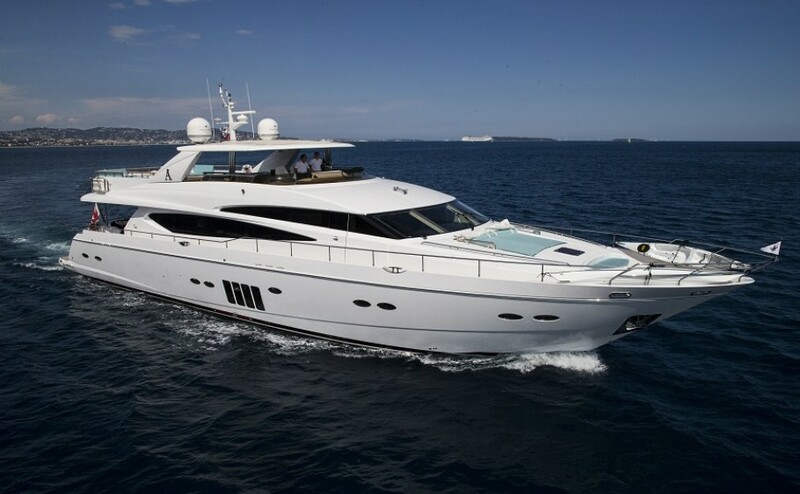 Princess Charter offer a variety of yachts for charter along Florida and its Keys, ranging from 20 metres to 100 metres in length.